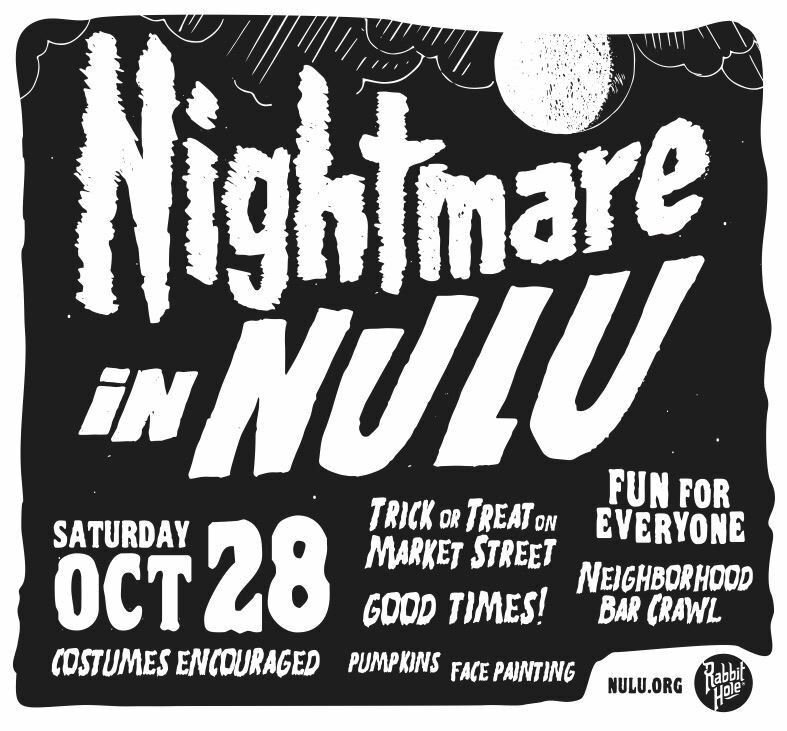 Celebrate Halloween in NULU! All day events, fun for everyone! Stop by NuLu stores in your halloween costumes for Trick-or-Treating. Also be the judge of our neighborhood pumpkin decorating contest. Face painting, pumpkin decorating, art, games and more in our kids section in The Green Building parking lot from 1pm-4pm. Nightmare in NuLu Cocktail Contest- The fun begins October 6 - October 28th. Visit one of our fine establishments below and taste their spooky Rabbit Hole cocktail and vote on your favorite. Rabbit Hole cocktails at the restaurant/bars below. Official After Party will be at Galaxie, and yes costumes are encouraged!